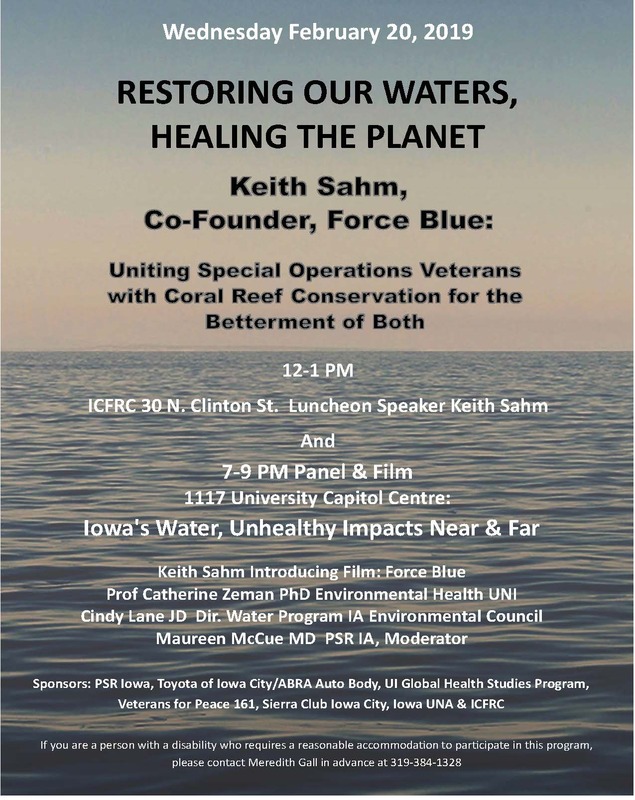 A panel of water health experts, including Mr. Sahm, will discuss water conservation. Following the discussion, there will be a screening of the film Force Blue. Sponsored by PSR Iowa, Toyota of Iowa City/ABRA Auto Body, UI Global Health Studies Program, and ICFRC.